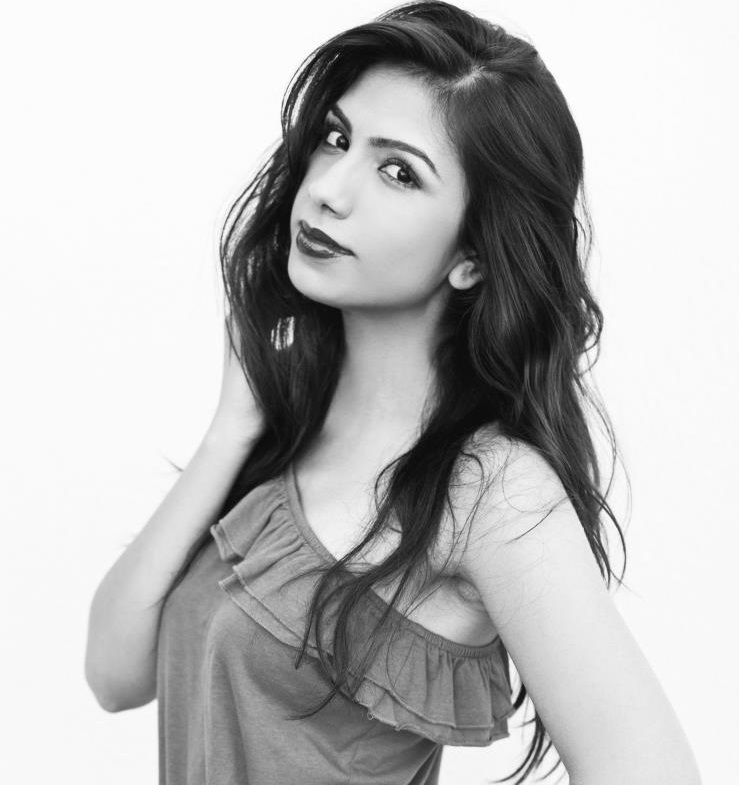 Dubai peeps, I’m aware that the glorious weather is on its way out, and summer is coming… and that’s nothing to look forward to… I know I know! 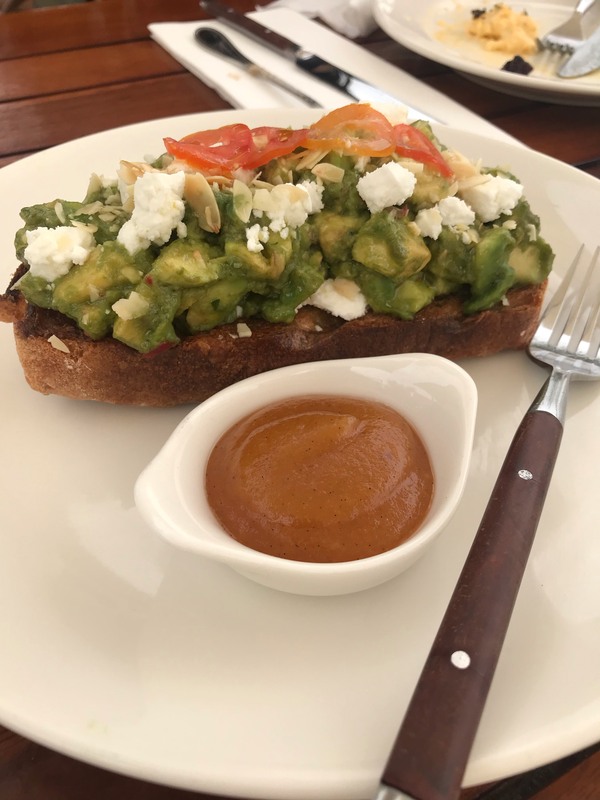 But whether you get some sporadic days of cool breeze or are ready to stay in with your best friend – the aircon, you need to know about this amazing new restaurant, and more importantly their new breakfast menu. Actually – Champagne Breakfast menu! 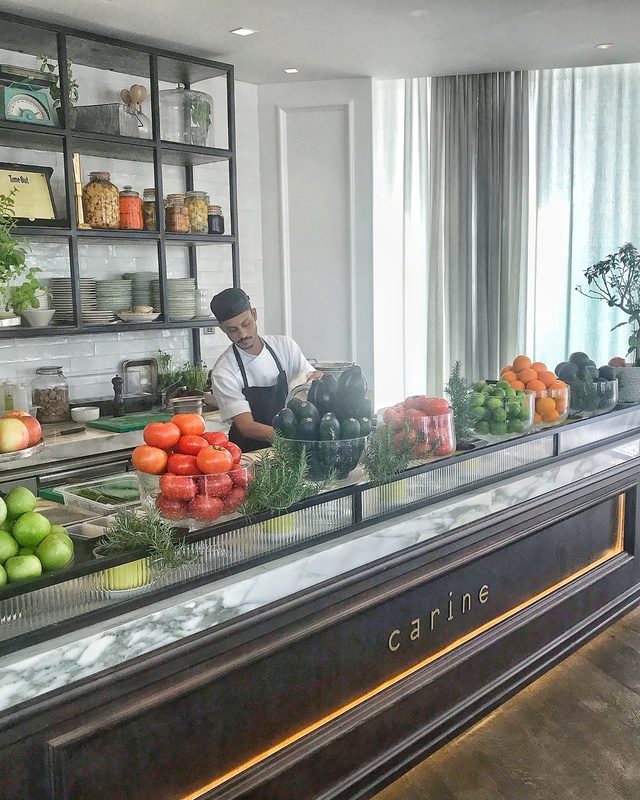 Let’s talk about this new kid on the block of Dubai’s ever evolving restaurant scene – Carine! 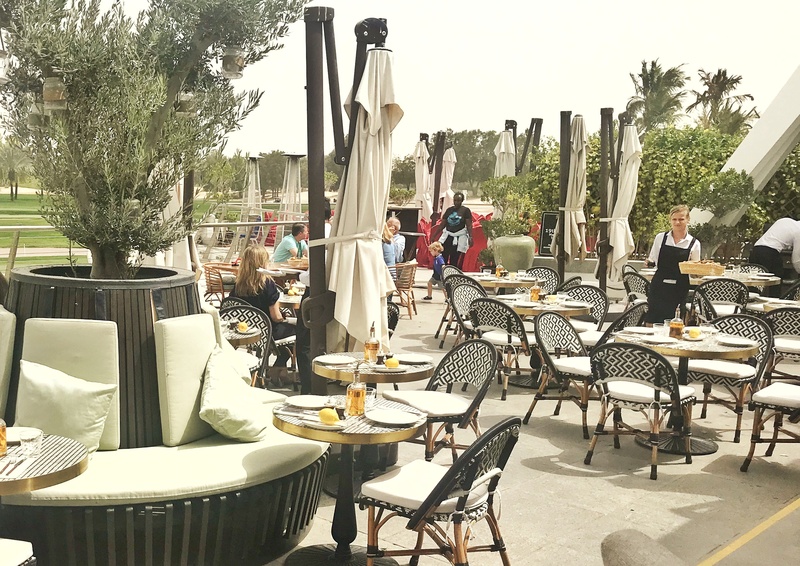 Located at the Emirates Golf Club, Carine is a lovely French restaurant offering beautifully decorated indoor setting and a huge outdoor terrace with some breathtaking views of the golf course… Oh and an outdoor bar! 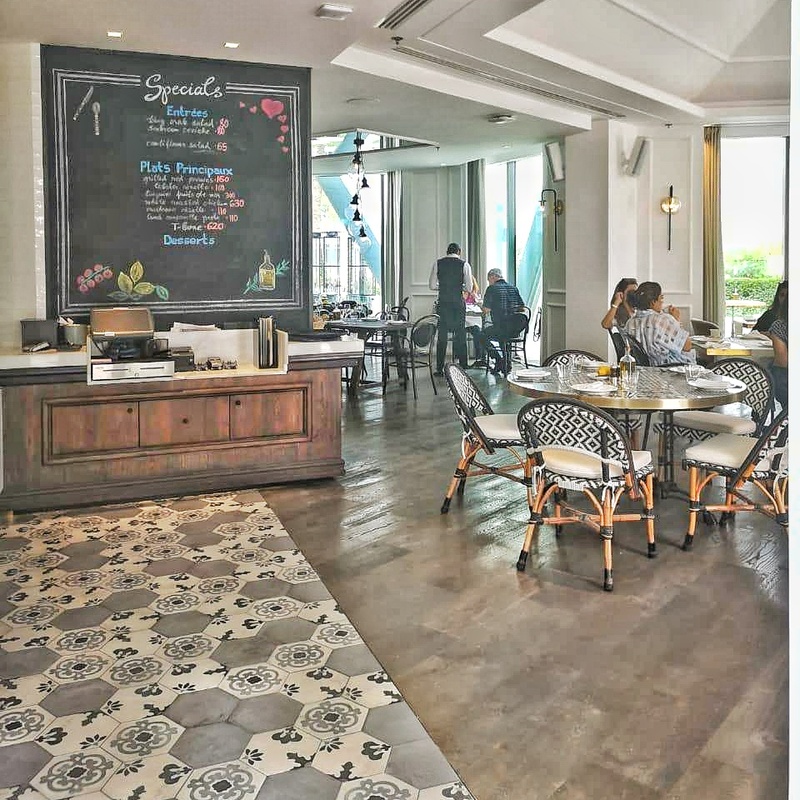 The decor is modern and has an unpretentious French charm, with an atmosphere that’s nice & bright and service very welcoming. 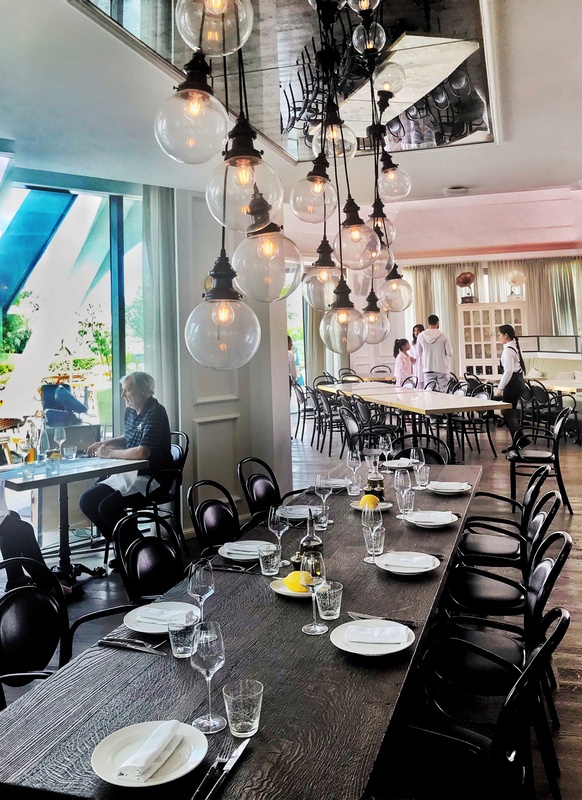 The floor-to-ceiling windows make sure the indoor diners also experience the stunning views. 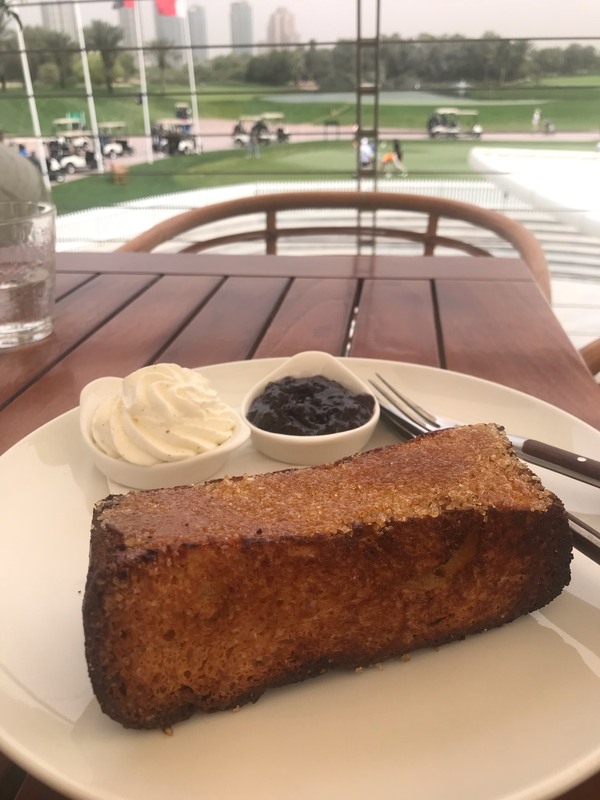 Classic French Toast with homemade jam and whipped cream – warm fluffy and all the goodness you’d expect. Avacado Tartine – quite fool proof we say, nicely seasoned and great portions. Egg’s Benedict with hollandaise sauce – comes with a choice of bacon or smoked salmon – beautifully cooked, full of flavour. 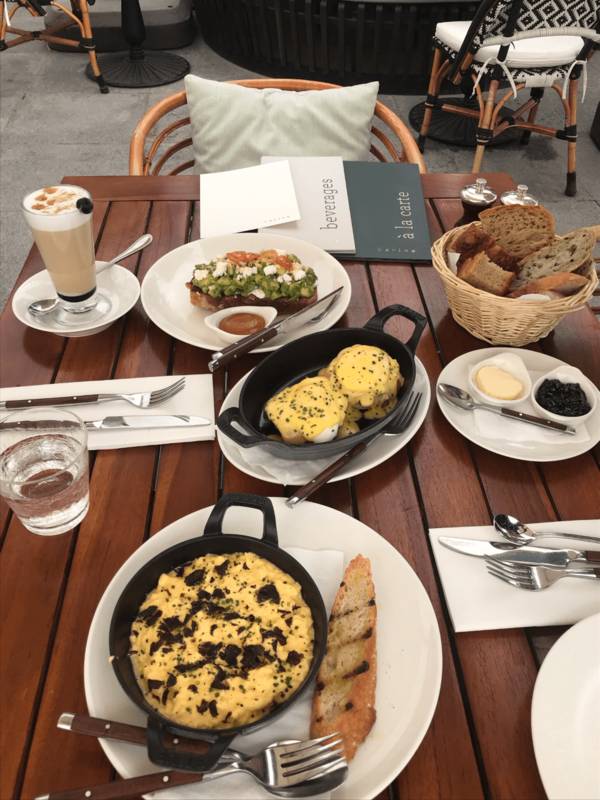 Scrambled eggs with black Truffle – another delish twist to a classic, the flavours married very well together, perfect texture, not too runny and again a huge portion size to share. Lastly some classic homemade granola with yogurt, ultimate comfort food. 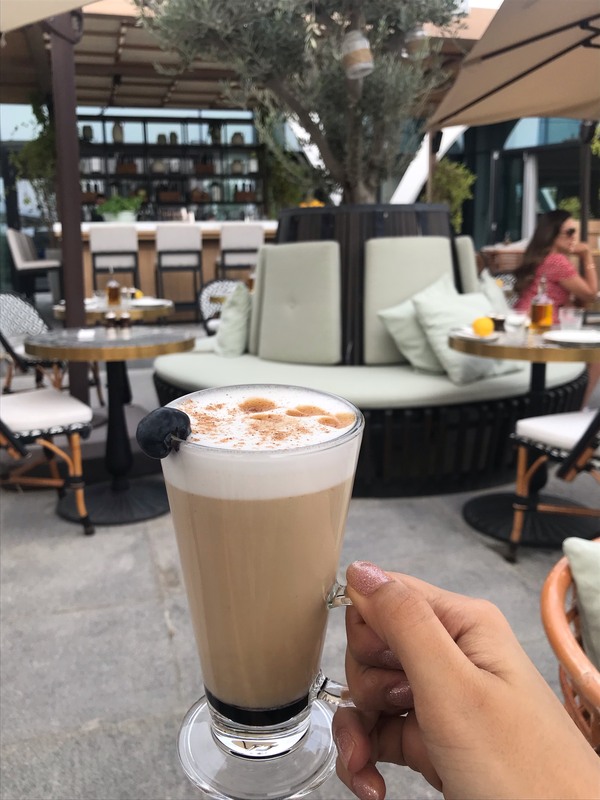 Carine truly redefines the concept of breakfast with the launch of this new menu, something we haven’t experienced much in Dubai’s restaurant scene, giving us everything we desire when we think of waking up to a nice breakfast on the weekends. For starters it’s severed until 1pm! The views from the outdoor terrace are seriously impressive and before you realise you’d have whiled away hours of your afternoon admiring the golf course and ordering champagne refills from their outdoor bar. The indoor space equally gorgeous and nicely decorated making it a great place to visit all year round.